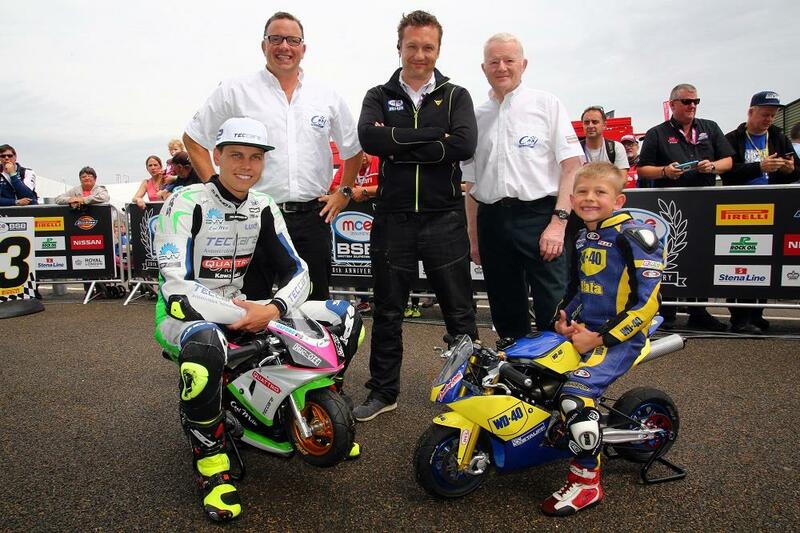 The MCE British Superbike championship has announced a new partnership with Cool Fab Racing to encourage more young people to get involved in bike racing. The agreement sees seven British Superbike teams – Tyco BMW, Quattro Plant Kawasaki, Anvil Hire TAG Yamaha, Buildbase BMW, ePayMe Yamaha, Team WD40 and Moto Rapido Ducati – set up junior teams to compete in the Cool FAB Racing British Minibikes series. FAB Racing has long played a role in developing young talent, with the likes of Grand Prix stars Scott Redding and Danny Kent all graduates of the programme as well as British Superbike podium man Luke Mossey. Whatever happened to 'Captain' Mark Phillips? Crispin Vitoria, Managing Director of Cool Motor Racing, the company delivering Cool Milk’s 10-year sponsorship deal with FAB Racing, said: “We have some really talented young riders competing in the Cool FAB Racing British Minibikes Championship already, and by becoming an official BSB partner series, we will be able to provide an infrastructure that will encourage more youngsters to enter the sport. “By creating strong links between the grassroots and the very top of the sport, including the BSB riders themselves, we are able to inspire and nurture talented young riders. Gary Pinchin's British Superbikes blog: Never mind the politics - what about the racing?